A legislation seeking to prohibit the United States from sending nearly USD 2 billion of taxpayer's money to Pakistan was introduced in the Senate on Wednesday by a top Republican leader. The bill introduced by Senator Rand Paul seeks to redirect those funds, amounting to USD 1.28 billion from the State Department and USD 852 million from United States Agency for International Development to the Highway Trust Fund. Early this month, US President Donald Trump had supported such a move by Paul. Trump after assuming office has been criticising Pakistan for providing safe havens to militants. In his first tweet of 2018, Trump said that the US had foolishly given Pakistan more than USD 33 billion in aid over the last 15 years, while Pakistan had returned only lies and deceit. Congressman Mark Sanford from the Republican party and Congresswoman Tulsi Gabbard from the opposition Democratic will be introducing companion legislation in the US House of Representatives. "We fail our responsibilities to protect our country and properly steward taxpayers’ hard-earned money when we support countries that chant ‘Death to America’ and burn our flag," Paul said. "Let’s bring that money home and use it to help rebuild our infrastructure instead of giving it to a nation that persecutes Christians...," he said. 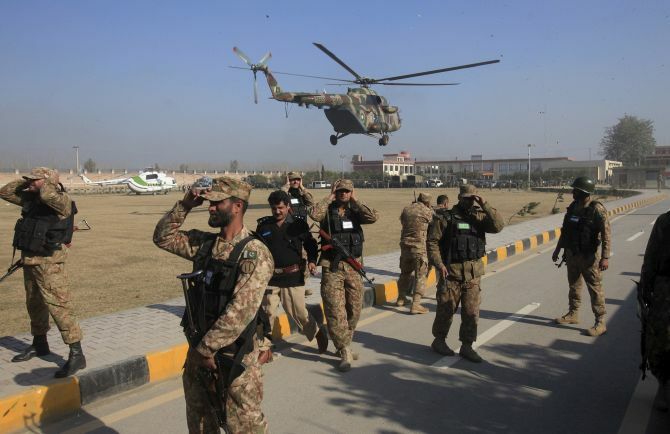 The Congressional move comes in less than a month after the Trump administration suspended nearly USD 2 billion in security assistance to Pakistan alleging that it is not co-operative in the fight against terrorism.